Children playfully conquer their world. Thanks to their healthy curiosity, the very young approach novelty without inhibition. Mobility is essential for playful learning, social integration and also physical development. 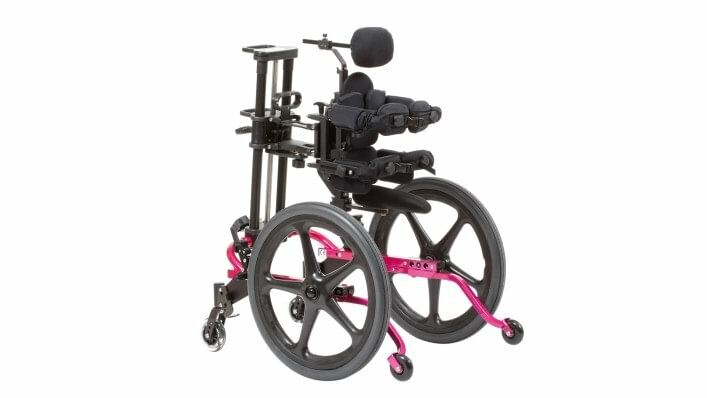 The Kidwalk dynamic walking aid allows children with severe disabilities to live out their exploratory spirit, play with other children and move about without the help of others. Not only does the Kidwalk provide stable pelvis and trunk support, it also permits walking with a largely natural gait pattern – at eye level with other children. 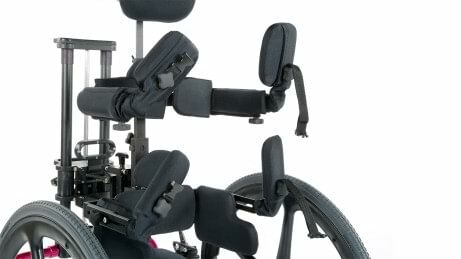 The concept of the walking aid is based on the normal motor development of a child. Early walking is also essential for the child's physical development: Delayed or faulty development can seriously impair the ability to walk later – or even prevent the proper formation of the bone structure (in this case especially the hips). This is why the KidWalk supports and accompanies your child during its very first steps in our exciting world. The thorax and pelvic pads provide stable support for your child. They can be flipped up for getting in and out easily. 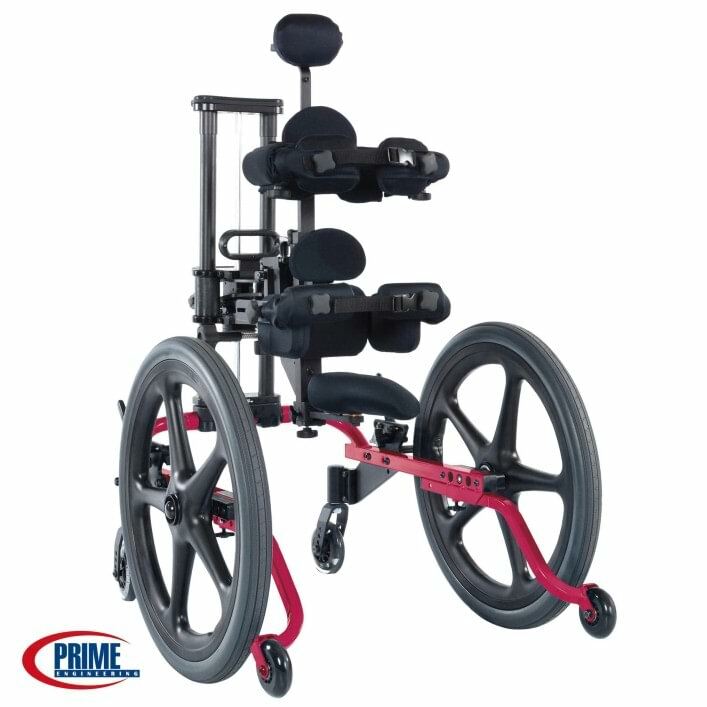 Dynamic weight relief by means of a spring makes it possible to work on balance and motor movements during therapy. 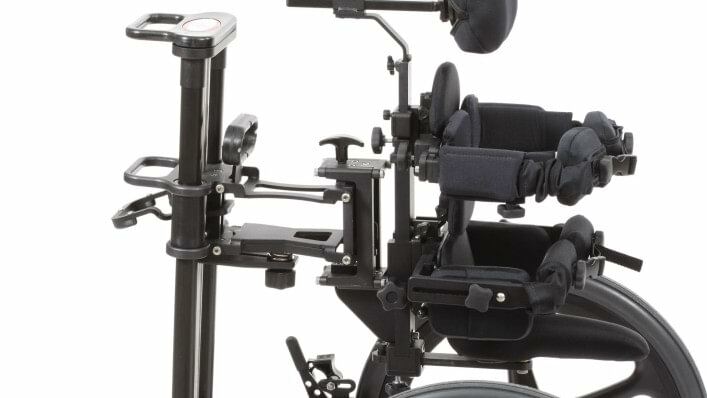 The durable and robust material is also suitable for children with defined motion patterns. 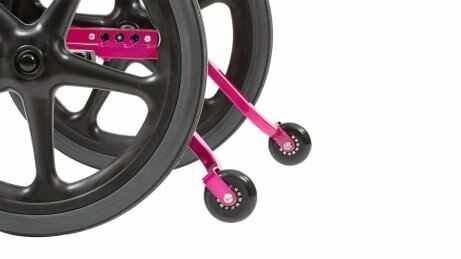 The adaptable protection wheels keep your child from tilting. 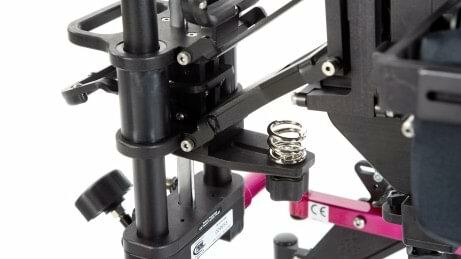 With the adapter column, you can continuously adjust the height and angle of the dynamic positioning unit. Thanks to stable support for the pelvis and trunk, your child can move freely and at eye level with others. 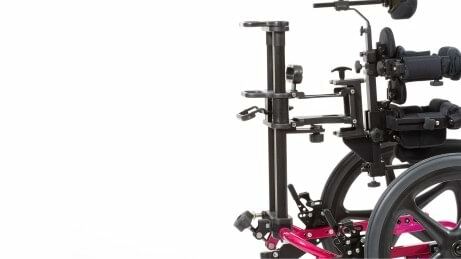 The dynamic positioning unit supports the development of a natural gait pattern.